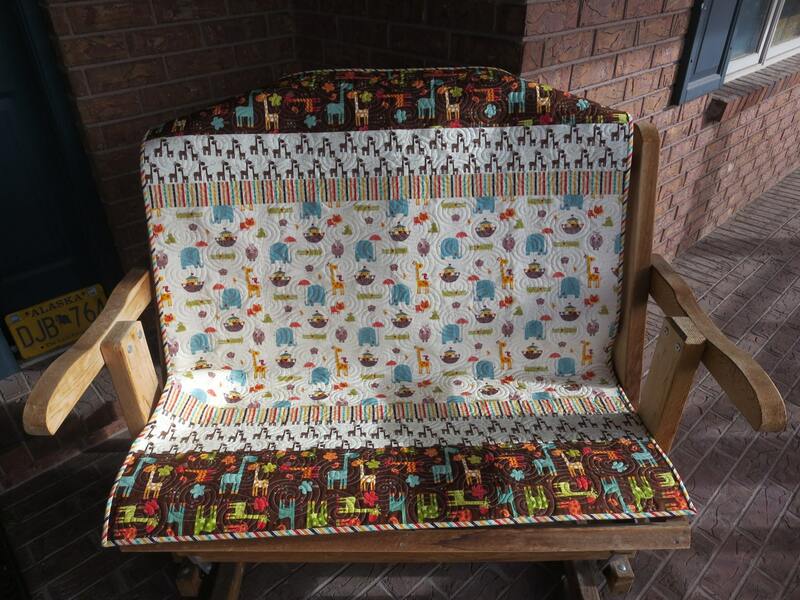 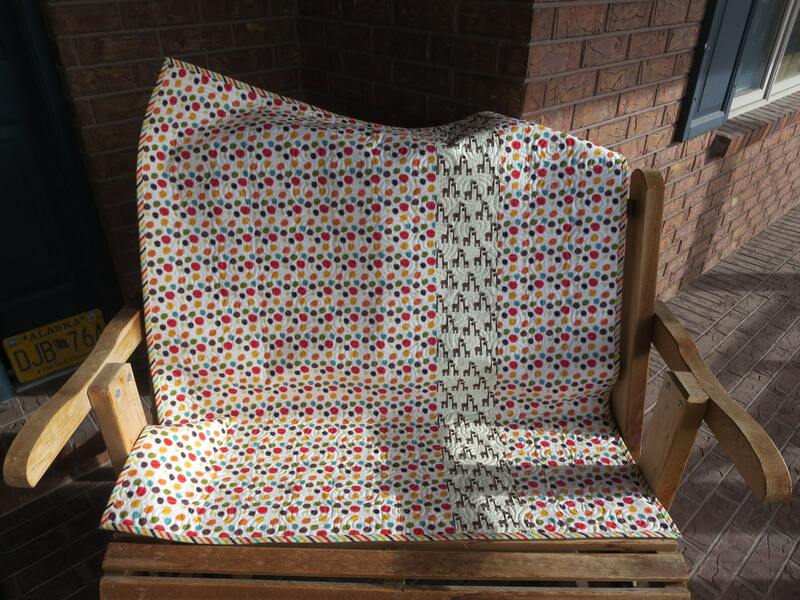 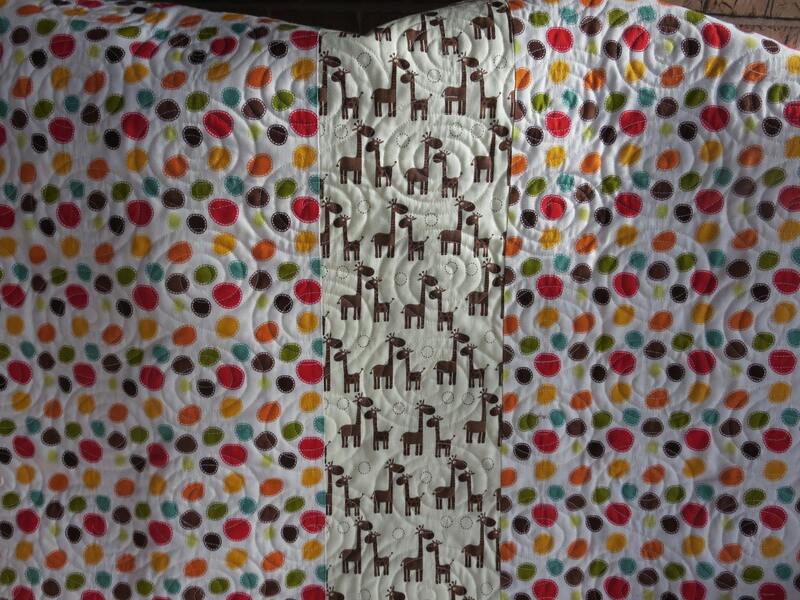 This fun little unisex quilt was made using the Riley Blake Giraffe Crossing Fabric Collection. 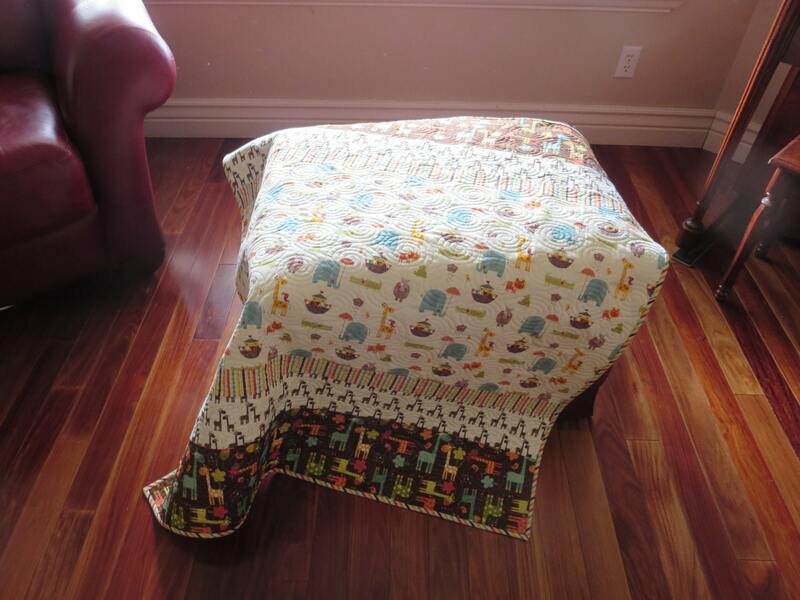 This would make a great tummy time quilt! 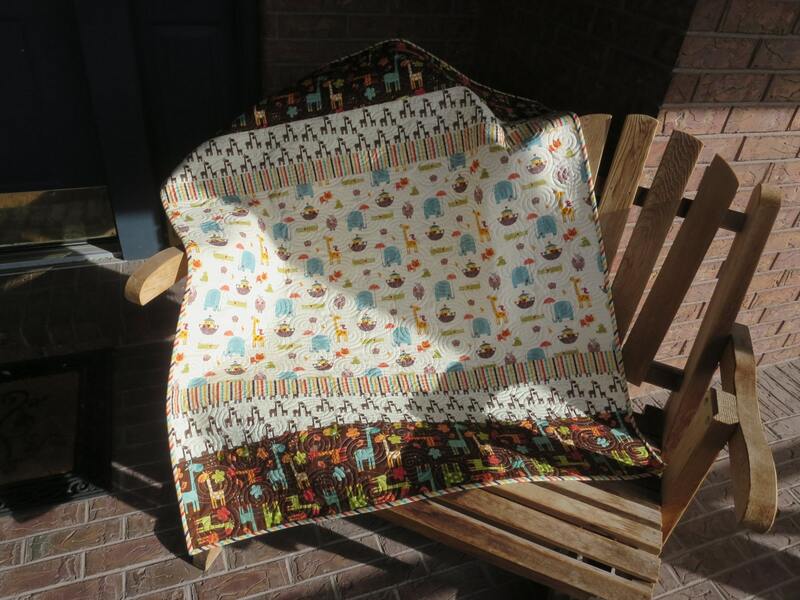 o Professionally top-stitched (quilted) by BlueBrit of Orem, with the "Circle " pattern.